As evidenced by my woodworking-related social media posts slowing to a trickle, I was away from my woodshop last week. 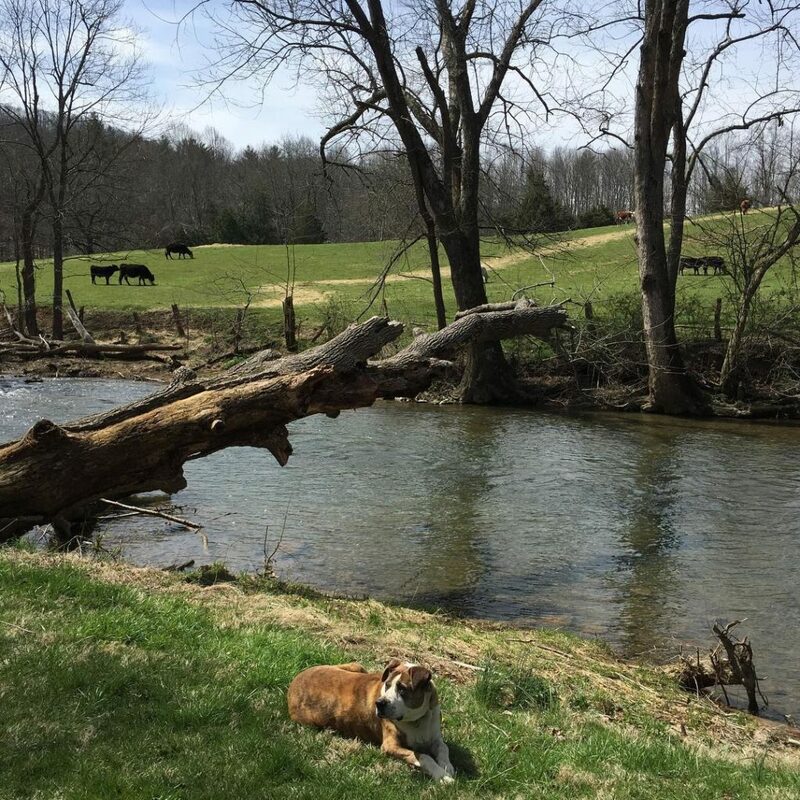 My family and I, including some extended family, rented a farmhouse in the western part of Virginia – a relaxing retreat in an early 1900-era farmhouse. This required that I put my table build on hold for a week, but it was a welcomed and blissful change of pace. Although I am not particularly fond of leaving dimensioned project pieces unassembled on my bench for too long, it is sometimes unavoidable. Now that I’m home and fully energized from my exposure to the outdoors, I hope to make copious progress this coming week. If you find yourself in the very unfortunate position of having missed the first installment of my table build, then I highly recommend that after you’ve completed reading this delicious word ensemble that you bring your attention here. Well, I’m giving this another shot. For the second time I’ve opened an Amazon Affiliate Store with the hopes that it’s less of a failure this time. This one is embedded directly within my website where the last one was a stand-alone Amazon Affiliate site. I’ve filled the shelves with tools that I currently use in my shop and would recommend to anyone. When you make a purchase, Amazon throws a few pennies in my direction (small percentage of the sale). 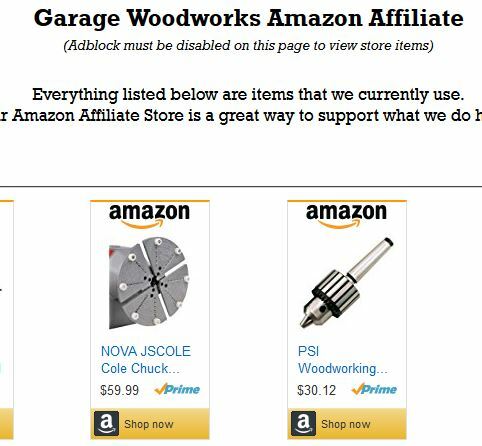 My hope is that if you are interested in a tool that I am using that you’ll purchase it through my Amazon Affiliate Store. I’ll put all of the pennies in a jar and I’ll use them to keep Garage Woodworks going. I almost exclusively use floating tenons in my woodworking and I occasionally get asked why I prefer them to integral tenons. Before I answer that let me explain what they are to those that might be new to this. Floating tenons, which are sometimes called loose tenons, differ from integral tenons (traditional) in that they incorporate a separate piece of wood for the tenon. The tenon stock is inserted into a mortise to form the ‘tenon side’ of a mortise and tenon joint. There have been a few strength tests conducted, with the data either published on the internet or in woodworking magazines, that strongly suggest that there is little difference in strength between integral and floating tenons. With that out of the way, why do I prefer them? When I first started woodworking I would have trouble cutting tenons so that the shoulders lined up all the way around the stock. This was extremely frustrating for me as a beginning woodworker. With integral tenons I found myself frequently having to chisel tenon shoulders and cheeks in order to get them to look ‘gap-free’ and fit tight in the mortise. At the time, I was a big fan of The New Yankee Workshop and integral tenons were all that Norm made. So this is where I started; with integral tenons. Later, I was exposed to floating tenons by watching Wood Works with David Marks. 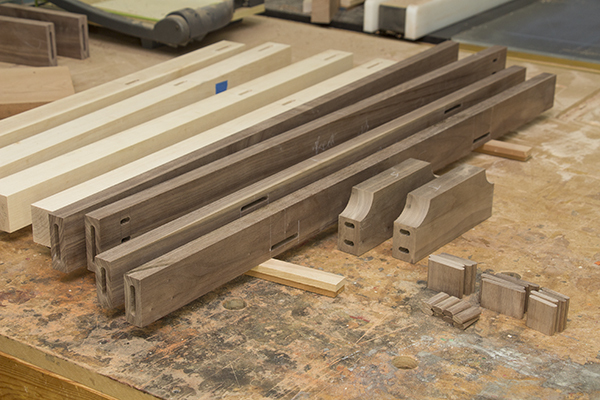 David would use a Multi-Router to form his end-grain mortises and used floating tenons on almost everything on the show. I was really intrigued! Floating tenons looked like the solution to my frequent tenon problem. I later read on David’s website that he used floating tenons for the same reason (among others I think) with regard to the problem associated with getting tenon shoulders to line up all the way around the stock. Aside from being the solution to the problem I was frequently having with my integral tenons, I found floating tenons to be faster to make and require less tool set-up and futzing around. Plus, later in my woodworking, I found that floating tenons were also great for making double tenons and angled tenons. These ‘more advanced’ tenons are a breeze with floating tenons but are even more troublesome with integral tenons. I’ve realized over the years that woodworking is extremely personal and almost quasi religious for most people. 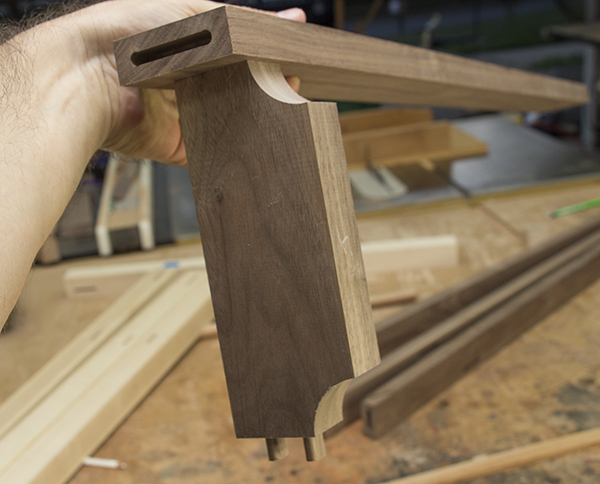 If integral tenons work for you and you enjoy the process in making them, don’t stop. For me, floating tenons were a game changer and have significantly enhanced the enjoyment I get from this ‘religion’ we call woodworking. I will still use integral tenons if they are more appropriate for a specific task, but this doesn’t happen very often.